Our newly-launched BIM Revit content packages are creating quite a stir in the construction industry. The ability to create precise designs, quickly and easily, has been well received by users since content was made available in May. But don't just take our word for it. Hear what our customers are saying. We recently met with J&B Hopkins’ Building Services Design/BIM Manager, Stuart King, to discuss how our BIM Revit packages have positively impacted their design process. In business for 38 years, J&B Hopkins provide full MEP design and build, from concept to completion. They also offer pre-design consultancy services, working with clients at the pre-planning stage to provide them with cost-effective, energy-efficient design solutions to suit the client’s initial brief. J&B Hopkins specialise in schools, care villages, student accommodation, hotels and office developments and the company has worked with Wavin for a number of years, but the introduction of our BIM Revit content packages has prompted greater interaction between us. We are pleased that a manufacturer has taken the time to consider what designers require, instead of just producing non-intelligent BIM packages. King has said that he and his team find the Revit files easy to work with and what stands out most to them is the ‘Visual error alert’ feature, which other packages simply don’t have. Standard packages allow users to continue with design even if the initial design is incorrect. With Wavin’s Revit packages, however, you are only to design the system correctly from the start. J&B Hopkins also found that the ‘View template’ feature is useful to find any issues and problems and to enable a positive compliance check. We have been very impressed with the team and the promotion of Wavin products. We have been looking for a while to find a product that wasn’t ‘out-of-the-box’ and suited our individual needs. A bespoke solution like Wavin’s has enabled us to reduce significant time in building the model. J&B Hopkins is currently using Wavin’s BIM Revit content package for three design/build projects including Bittern Park Secondary School and Bernard Street student accommodation in Southampton. The projects are still in the preliminary stages of design, so stay tuned for more news when they are completed and installed. 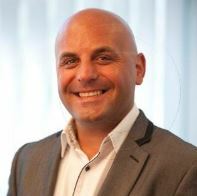 Neil Iacobucci is Wavin UK’s National Business Development Manager and joined the Wavin team in September 2014. Neil manages the UK Project Sales Team and is responsible for ensuring all commercial projects are delivered as efficiently as possible throughout the complete phases of concept to completion.